Can I submit a CD-ROM of my work? Yes. The deposit requirement consists of the best edition of the CD-ROM package of any work, including the accompanying operating software, instruction manual, and a printed version, if included in the package. Publication is not necessary for copyright protection. How much do I have to change in my own work to make a new claim of copyright? You may make a new claim in your work if the changes are substantial and creative, something more than just editorial changes or minor changes. This would qualify as a new derivative work. For instance, simply making spelling corrections throughout a work does not warrant a new registration, but adding an additional chapter would. See Circular 14, Copyright Registration in Derivative Works and Compilations, for further information. Do you have special mailing requirements? If you register online, you may attach an electronic copy of your deposit unless a hard-copy deposit is required under the “Best Edition” requirements of the Library of Congress. See Circular 7b. If you file using a paper application, our only requirement is that all three elements—the application, the copy or copies of the work, and the filing fee—be sent in the same package. Please limit any individual box to 20 pounds. Many people send their material to us by certified mail, with a return receipt request, but this is not required. This informational post should not be considered legal advice. 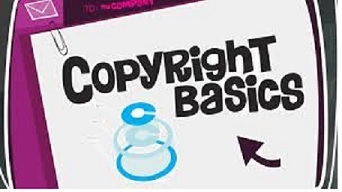 If you have specific questions about obtaining copyright protection for your work, or desire assistance in navigating the requirements of the U.S. Copyright Office, please contact a copyright attorney.